One of the major benefits of making the switch to commercially-used solar power, apart from the obvious energy cost savings, is that solar panels have a significant longevity before they need any sort of major repairs, typically at least twenty-five years. Prior to that, they require very little maintenance once they are installed. In fact, you might forget they’re even there! However, we still cannot account for everything that could happen to your commercial solar panels once they are installed, which is why we have a range of solar asset management services that come standard with every commercial solar panel contract we take on. Our job doesn’t end once the solar panels have been installed. On the contrary, our intent is to provide you and your business with continuous and ongoing access to our equipment technical support and solar electric engineering staff. What does this mean for you? It means yearly full system checks to provide preventative maintenance and make sure that everything is operating at optimum performance. It also means that we monitor real-time data trends that analyze any anomalies in your solar panels’ energy production, and audit the panels’ overall energy production to make sure it matches with your projected energy savings, which is part of our in-depth performance reports that we regularly supply to you. But it doesn’t end there. 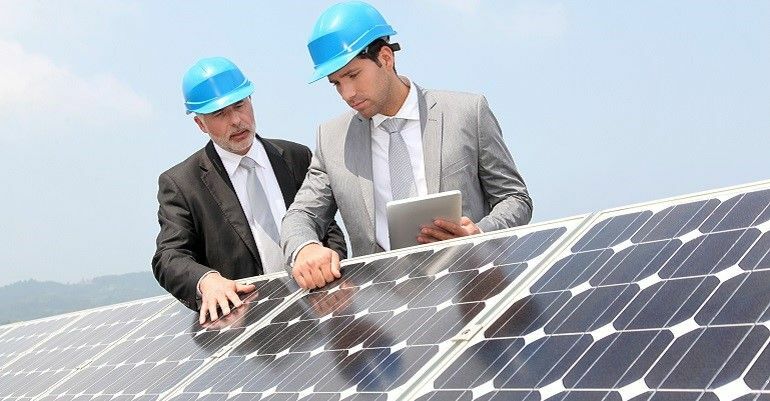 Our continuing management of your commercial solar panels also includes monitoring for any security alerts, providing 24-hour response to any outage issues to minimize any economic losses you might incur, and, in the case of any kind of damage, coordinating and performing factory warranty repairs. Your commercial solar panels are made to last you a long, long time, and at REP Solar, we do everything to ensure that they do. So you can put to rest any worries you might have about the upkeep and management of your commercial solar panels with the knowledge that REP Solar has your back all the way, not just from design to installation but for everything after as well. Give us a call today at 855-519-6633 Ext 1001 to make the change and experience the massive energy savings of going solar.